Yasodhara Yoga Halifax is the Karma Yoga offering of two certified Yasodhara Yoga instructors, Silver Frith and Carol Putnam. Their intention is to create a Yasodhara Yoga community in the Maritime region, which includes Nova Scotia, New Brunswick and Prince Edward Island. Classes in Kundalini Yoga were first offered in Halifax in January 2013, and continue to be offered in the city during the fall and winter months. Hidden Language classes were first offered in Halifax in the fall of 2013, and continue to be offered in the city, as well as in Wellington, NS, during the fall and winter months. Satsangs are held on a monthly basis, either in Halifax, or at yoga studios in the region. It is our intention to expand our offerings into the other Maritime provinces, and into more rural areas in the future, in order to serve those who may not otherwise have the opportunity to experience Yasodhara Yoga. 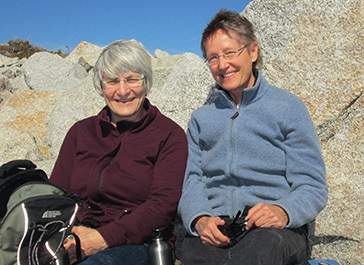 Both instructors are members of Yoga Atlantic, an association of certified yoga instructors in the Atlantic provinces, which hosts a local conference, and provides interconnection and support to its members.